The Samyang Europe introduces new product to its offer - the SFH-14 filter holder designed specifically for Samyang 14mm 1:2.8 ED AS IF UMC lens. Together with the holder available will be also three rectangular filters manufactured by Cokin company. Samyang holder SFH-14 has been designed from scratch for Samyang 14mm lens in standard and V-DSLR cine version. This solves the common problem of mounting the filters on a lens that does not have a filter thread because of specific optical construction. The holder is made of lightweight and durable ABS plastic. In order to eliminate internal reflections of light, its interior has been roughened and blackened in the process of flocking, giving it a velvety black color. 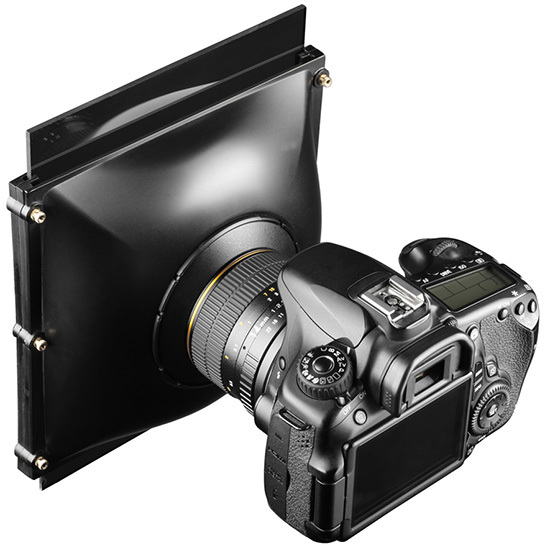 The holder comes with double slideways to use one or two filters at the same time. Due to a rotatable construction of the holder, filters can be used both vertically and horizontally. The holder goes with a filters. Three kinds of rectangular filters are sold separately, each of the format of 161 x 139 x 3 mm, specially designed and manufactured by the renowned Cokin company. These models are marked with symbols: 154 ND8, 121M ND4 and 123s, which equivalents in smaller size are available in Cokin’s company offer. Model 154 ND8 is a neutral gray filter of ND8 gradation that allows to slow shutter speeds and to blur moving objects (e.g. clouds, water, traffic). 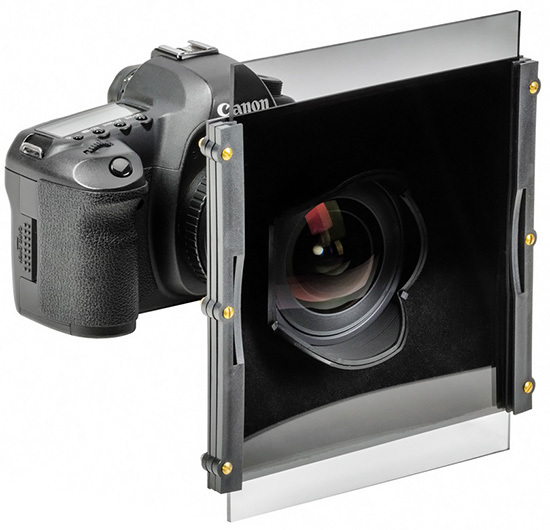 It will be also often used by filmmakers who want to get a shallow depth of field in strong sunlight. Half-normal 121M ND4 gray filter is mainly designed for landscape photography and architecture. It allows to reduce the contrast between light and dark part of the frame. 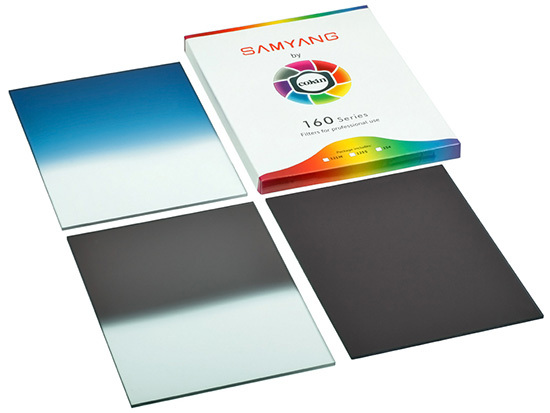 Third of the available - Cokin 123S, is a half-normal blue filter that can be used to obtain or highlight blue sky effect in the landscape photography. 68 € – Cokin 123S.